Hello there, today is finally the day! The new Clearly Besotted products will be available in the shop tonight at 10pm BST and also at Simon Says Stamp. Today I am sharing my last teaser with you using the new The Graduate stamp set as well as the die set. I have first stamped the mortar board in Versamark ink and then heat embossed in black EP. I have then cut this out using the die set and added this to a card base with 3D foam pads. The base is made by taking a white piece of cardstock and running it through my Cuttlebug using the PTI Linen plate. 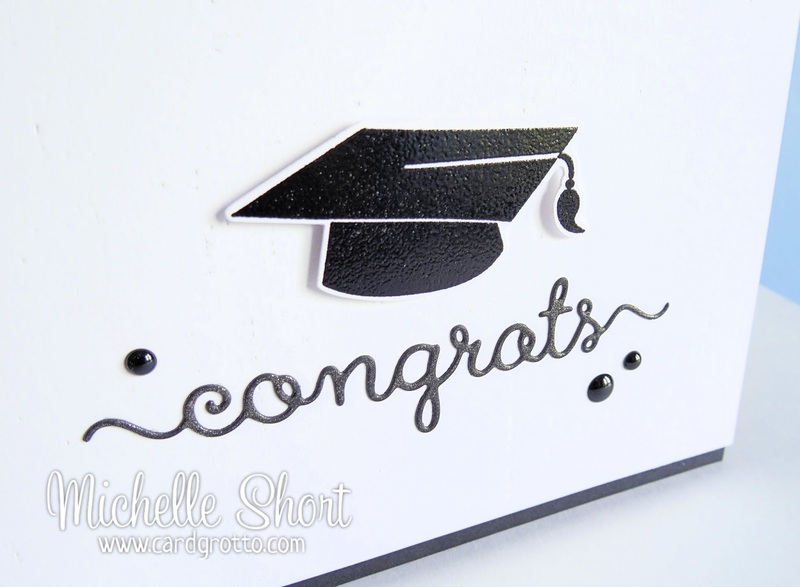 I have then die cut the congrats using the Congrats Word Die from black CS and applied silver WOS on top, This has been added below the mortar board and then I have finished off with a few black Sprinkles. As well as popping over to Stephanie (if you haven't already) to see the reveal, there is also links there to the rest of the DT who are sharing their last teasers today as well as our amazing Guest Designer Mayuri. Thanks so much for visiting me today. Michelle this is such a perfect grad card! Are you finished your studies for this year now? Eeek, then you are done and are graduating this year! Yippee! 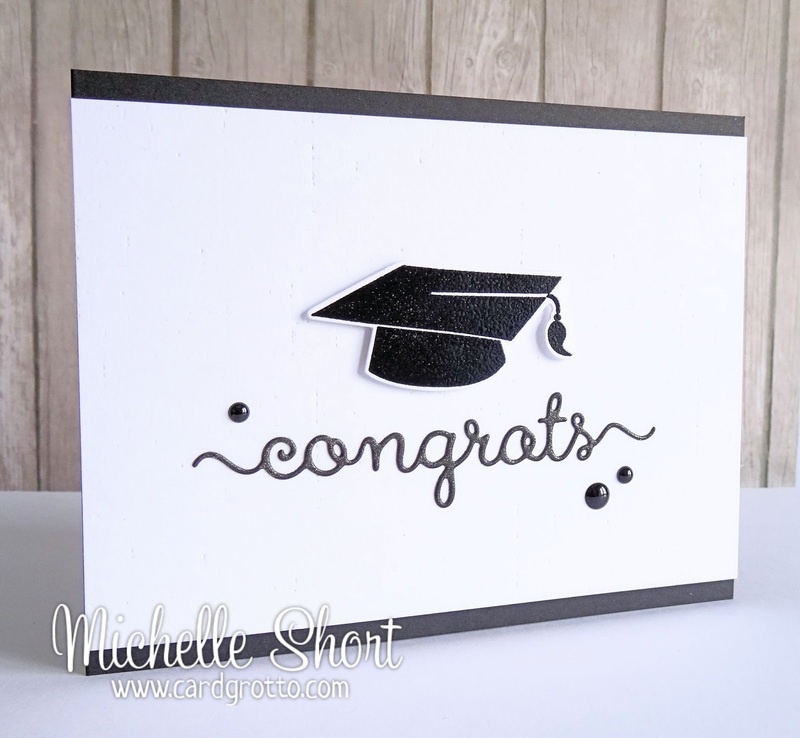 A classy, elegant card sure to delight the grad who receives it! Fabulous showcase of the new release! I can't decide on a favourite but I love the Diagonals, Monograms and Blossoms. Lovely cards too and good ideas on how to use the sets on themes outside of Weddings. All your cards blow me away. So clean and meticulously designed. Just beautiful. OMG - what a great release! Love all your CAS cards that showcase the new stamps! Such an elegant card. Lovely!